Thank you DJ Depot!! The lights arrived on time for my wedding last Saturday! Thank you!! 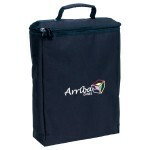 The Accu-Case F4 Par Bag is soft padded transport bags designed to carry any type of modern flat par fixtures. The bag is divided into four compartments, so as to keep your fixtures separate and well-protected, and the padded material offers further reassurance that your units won’t be damaged. You may even find that by keeping your fixtures in such good condition, you even make back the money you spend on the bag when you finally sell your fixtures and they have retained more of their value due to their pristine state – so it’s a real worthwhile investment! We know how crucial the space in your vehicle is, so for those of you who need to save on room, the Flat Pak Bags refrain from being bulky in size; you can safely store up to four or eight flat pars, offering protection without taking up that vital space. 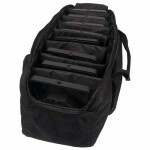 Each Flat Pak Bag also packs away neatly; taking up little storage space during your gig – you can simply fold the bag up and pack it away. 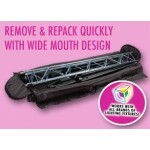 This simple storage solution saves you from paying for bulky solid flight cases, which cost more and use up limited space in your DJ booth. 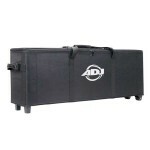 It also therefore means that you’ll never need to heave your cases back out to be stored in your vehicle during a gig. 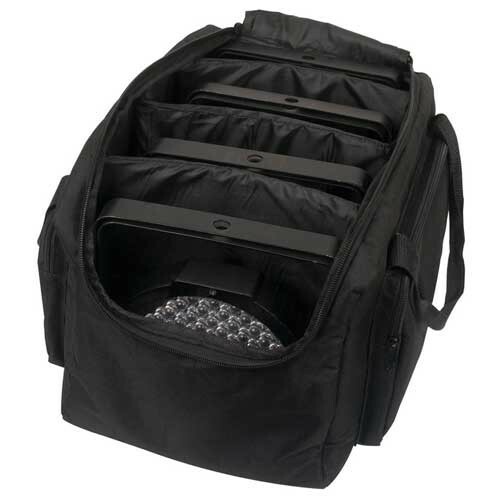 With the Flat Pak Bag, you carry in your fixtures and then store away the compact bag out of sight in a place convenient to you. 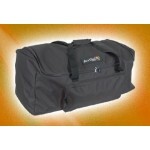 These padded transport bags are not just for Pars. 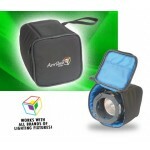 You can fit a variety of lighting fixtures into these bags, as well as cables and clamps, when you pull out the dividers. 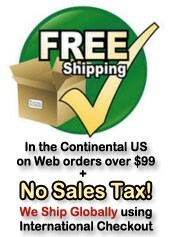 Just compare the size of your lighting fixture to sizes below to see if your fixture fits. 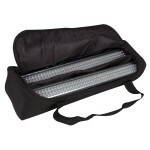 • Durable padded Gig Bag for transporting lighting, cables, clamps etc.